A close up view of St Michaels Mount. 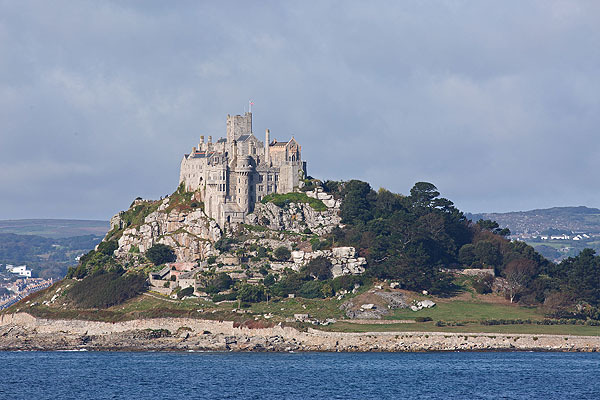 Following the Norman Conquest of 1066 Robert, Count of Mortain the 'Earl of Cornwall' granted St Michaels Mount to the Norman Abbey of Mont Saint Michel. The Benedictine monastery on the Mount was established in 1135 . This lasted until the dissolution of the Monasteries by Henry VIII in the 16th century.